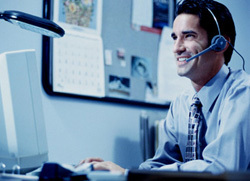 Help desk professionals are accountable for keeping the computer and networking systems operational, and to ensure maximum customer satisfaction. They work behind the scenes for maintaining the smooth functioning of an organization, and are the first-point-of-contact for trivial to major issues. While a company might have several tiers in the support department, help desk professionals are the first ones one comes in contact with for any types of problems. These individuals are expected to have a strong technical background, and exceptional people skills. To demonstrate you pose these skills, and are apt for the role, you need to write an articulate resume highlighting your technical prowess. The hiring manager of any firm will like to see certain skill set and keywords in your resume. With proper guidelines from us, we are sure you will be able to draft a precise resume for help desk profiles. Just read below and know how to draft a resume for help desk job profiles. Whether you are applying for an entry-level, or a senior-level position, the ultimate aim is that you want your resume to be noticed. This is possible if you follow a structured format. If you have been employed in the same sector for years, go for a chronological format. In case just starting, opt for a functional resume. If you are a career changed, go for a combination of both the formats to throw light on your abilities. The first part of your document must be about your basic information. In the very beginning, write a short section focusing on your basic details. Add your full name, permanent residential address, contact number, and professional email address so that the hiring manager can easily get in touch with you. Once you have provided the primary information, the next task is to pique the interest of the hiring manager. For this, just below your introduction, write a precise career summary emphasizing your customer service skills, ability to manage multiple tasks, and other important help desk skills. It should not be more than 3 - 4 sentences, and can even include a major accomplishment. If you are just a novice in this sector, add a job objective statement stating the profile you wish to work for along with the key skills you possess for the role. Individuals who want to work in this job profile must have a real desire to help people. They are required to maintain an optimistic approach to solve problems. Hence, while tailoring your resume for a profile, include the skills that the recruiter is searching for in applicants. Besides mentioning your skills, add some numbers as well. For instance, you can write about the number of calls answered per day, mails attended, or time you took to resolve an issue. While writing about your experience, mention your designation, the company's name you were employed with, its address, and the time you were working for them. Try to include specific keywords in the bullet points under this section. Also, including words from the job description, and figures can aid in catching the recruiter's attention. When you include the right buzz words in your resume, the ATS system will pick it. Start with the most recent position you have held, and then write about the designations you have worked for in chronologically reverse pattern. However, remember to include only significant accomplishments under the company, and don't give a complete list of the responsibilities you handled. In the bottom section, do not forget to mention your educational background as employers would definitely like to know what qualification you hold. Even if this is a desk support job, many recruiters prefer candidates with technical expertise, and relevant background. While writing your qualifications, just write a short section, including your highest degree, the university you have completed it from, and the year. Once you are done with the draft, check the document for grammatical errors and spelling mistakes. Before submitting your resume, proofread it twice or thrice to prepare the final draft. In addition to this, you can even ask a third person, or an experienced professional to review it. He/she might point out mistakes that you have simply overlooked. For more guidance, you can always refer to the help desk resume samples present on our site, and tailor your resume accordingly. For more help on resume writing we suggest that you have a look at our resume help section.